Amogh Dhamdhere is a Research Scientist at the Cooperative Association for Internet Data Analysis (CAIDA), based at the University of California, San Diego. 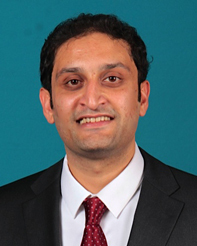 He received his Bachelors in Computer Science from Mumbai University in 2002 and a Ph.D. in Computer Science from Georgia Tech in 2009. He has over 10 years of research experience on active and passive measurement of Internet topology and traffic, Internet economics, network management and troubleshooting, and more recently on measurement of IPv6 and interdomain congestion.